Ellen E. Patnaude has been coaching, training, and developing people to achieve higher levels of success in a professional capacity since 1997. Her gift of insight allows her to often see what those with whom she is working are not able to see on their own—blind spots getting in the way of their success. Ellen has a Bachelor of Arts degree with a double major in Biology and French. Her formal education is overshadowed by the education she has received from life—growing up in urban Detroit, MI; living abroad in Paris, France; working in rural Nicaragua, where she became fluent in Spanish; and building organizations in some of our nation’s depressed urban centers. She spent many years working as a community organizer with the Gamaliel Foundation network, training and coaching ‘regular’ people to transform their communities in extraordinary ways. She was one of the top, most requested trainers at the local, regional, statewide, and National levels. Ellen has worked with people from all walks of life, from peasant farmers with no formal education living in extreme poverty in a third-world nation, to business owners running multi-million dollar companies, to entrepreneurs in the early stages of business building. Ellen brings spark, authenticity, and genuine passion for her clients’ success to every conversation. Her love of horses developed early in life through camp experiences, but has truly flourished in recent years with more exposure and experience. As a pretty direct communicator herself, Ellen loves the way horses give feedback immediately and clearly to the humans around them. 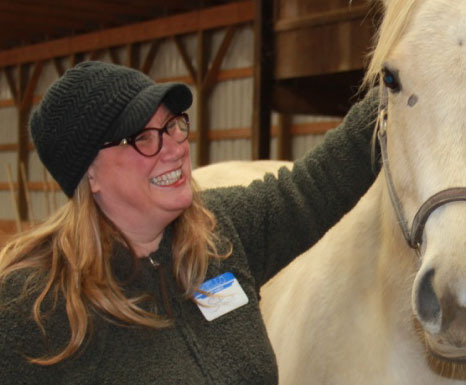 Becoming certified in Equine Guided Learning has brought an expanded set of tools to Ellen’s toolbox, and she is excited to bring teams a whole new experience. Danielle M. Leach began working in the manufacturing industry in 1995, where her informal study of effective leadership styles began. She began training with leadership and motivational experts in 2002, and built an impressive library of knowledge in the field. Implementing the very skills she now teaches, Danielle was able to rapidly move up through the ranks in her industry, often attaining positions requiring formal education that she lacked, simply because of her mastery of key leadership skills. Her one-on-one coaching skills are exceptional, and her level of insight into what’s holding back her clients from greater success is highly acclaimed. Danielle’s sense of humor, energy and insight ensure her class members will leave ready to achieve their goals. Her love of horses began at age 6 when her grandpa brought home her first pony. She learned everything she knows about horses from just jumping in there with them and trying it all out. She has a keen ability to read their body language and signals, and has been breaking and training them for most of her life. 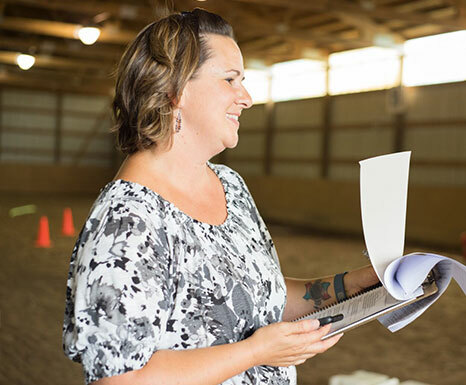 Danielle is a natural in the arena with the horses and our clients, and she is so pleased to have found a way to bring together two of her passions through the Equine Guided Learning certification. 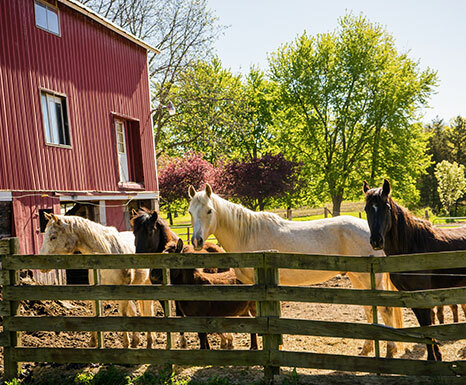 Cynthia Coy has made a lifelong study of people and horses. She grew up riding horses from the time she could walk. Like her sister Danielle, she developed a keen ability to read their body language from an early age, which has given her great insight into human body language and unspoken signals as well. Cynthia has worked in the school system where her children attend since the time they both entered it, including work with children with special needs. 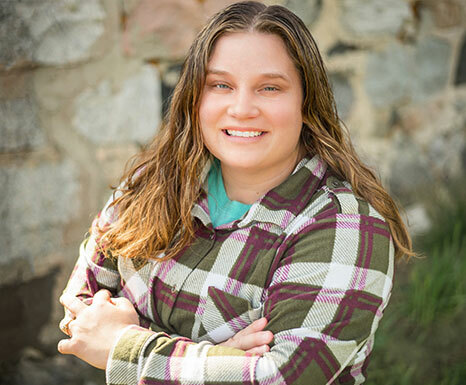 She spent a summer working as a team building facilitator with the Bear Lake Camp in Lapeer, Michigan. Cynthia is excellent at reading body language and assessing how to quickly make everyone around her feel at ease. She participated along with Ellen and Danielle in the program for Equine Guided Learning certification. 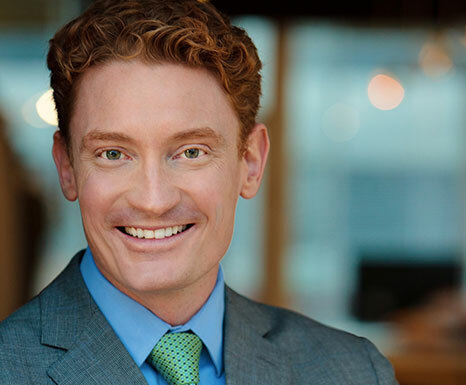 Chris McNeany has been a presentation skills and leadership development instructor for the past ten years. He thrives on being able to see his clients achieve their potential by maximizing an individual’s strength and finding strategies to overcome weaknesses. He also teaches team building events with a focus on philanthropy to better connect companies with their communities and allow participants to have fun in the process. Chris is also an experienced improviser, having studied at The Groundlings in Los Angeles. Fiona Dawson is a passionate believer in the power of soft-skills. She facilitates a broad range of curriculum from energizing team building events, insightful team culture workshops to motivating mentorship programs. She is a sought-after keynote speaker and teaches others how to deliver entertaining, engaging and inspiring presentations. Fiona is adept at customizing programs for both diversity & inclusion awareness and integration with her clients’ company values. Fiona grew up in a rural area outside Boston, Lincolnshire, U.K. where farms and horses were a staple. After graduating with a Bachelor’s degree in Psychology from the University of Essex, she lived and worked in Bangladesh and Portugal before immigrating to Houston, Texas in 2000. From 2011, she spent a few years working in New York City before moving to the Washington D.C. area in 2014 with her rescued pit bull-boxer mix, Maizie Rai. 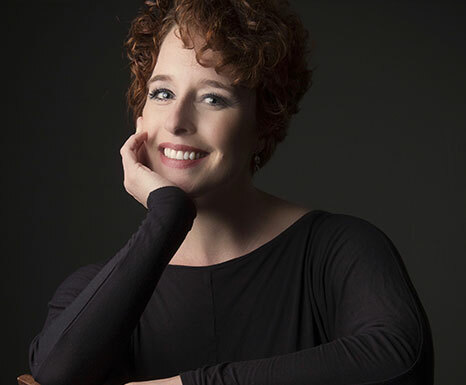 In addition to her Bachelor’s, Fiona holds a Certificate in Teaching English as a Foreign Language, and has several continuing education credentials. Fiona’s eclectic career in education, non-profit and corporate sectors provides the perfect foundation for helping people know themselves and work better together. Stacie Champeau has experience working with teens, young adults, adults, and the geriatric population. She received her bachelor’s degree from Oakland University with a concentration in interpersonal communication and health, and her Masters in Counseling from Oakland University. She enjoys working with men and women facing life difficulties, students in college. She has worked with individuals facing stress/anxiety, depression, social and communication problems, academic stressors, and behavior modifications. She has a great deal of experience working with grief and loss, bariatric evaluations, weight control, anorexia, and wellness. Stacie specifically also additional training in testing and assessments, eating disorders, bariatric evaluations, weight control, grief/loss, and wellness counseling. 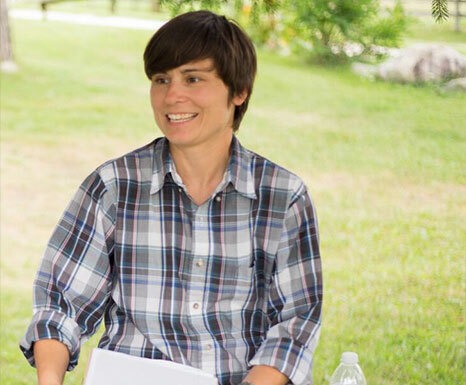 Her approach to therapy is patient-centered and strength based, with a relaxed and personalized style. Stacie builds trust easily with clients seeing things from their perspective and is empathetic. She uses an integrative approach and believes therapy is about exploring the past, discovering the present, and evolving into your future. 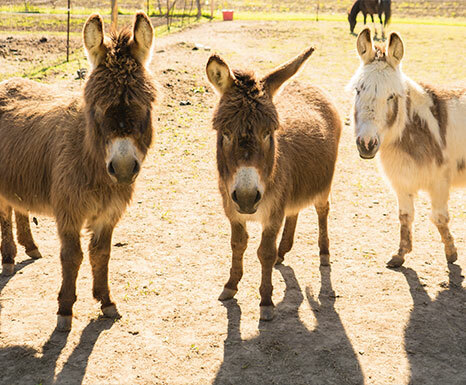 Daisy, and her daughters Glory and Maggie, are mini donkeys. They have sweet dispositions and are very loving once you get to know them. Being smaller than the rest of the herd, and being donkeys, they have a different nature. They are a little on the shy side, and can take you by surprise with their playfulness. They stick closely together, and can be the most stubborn of the group. But they are also the most affectionate and loyal. Duke, the Palomino Arab mix, is the herd boss. He is curious but wary of new situations; cautious and careful. Mocha, the chocolate beauty, is never far from Duke, and the two of them prance around the pasture like a royal mated pair. Mocha has impeccable manners with people but will not hesitate to boss the other horses around when Duke isn’t looking. George, the Appaloosa pony, is probably the calmest member of the herd. He enjoys eating more than anything else in the world, and has a very sweet nature. Roger, the Icelandic black and white pony, is by far the most playful and mischievous of the bunch. He absolutely loves people, and doesn’t hesitate to invite himself into your space. Lily, the black mini mule who is barely visible at the fence, doesn’t stand with the mini donkeys because she doesn’t know she’s small. When Mocha isn’t around, she fancies herself co-leader of the herd with Duke. She bosses everyone else around, and can often be seen playing with Roger by rearing up and putting her front legs over his back to reach his mane. Lily absolutely loves to be brushed and groomed, and very vocally announces everything happening in the pasture.